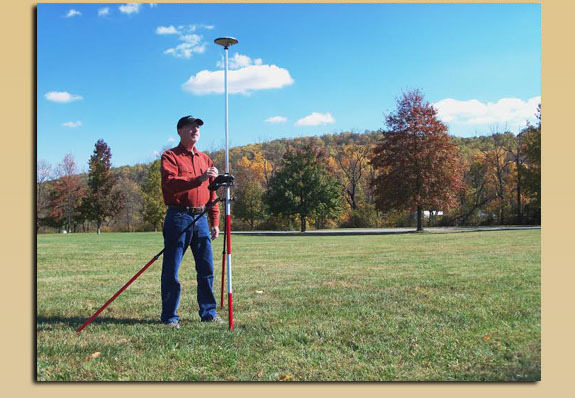 Oatley Land Surveying, LLC is a full service surveying firm located in Warren County, New Jersey. Ray Oatley, a professional land surveyor has been involved in land surveying for over 39 years, working in small and large multi-disciplined engineering companies prior to developing his own company. With full knowledge of project development Ray Oatley maintains his involvement in projects both in the field and office to assure completion in a timely, efficient manner for clients. Oatley Land Surveying, LLC is a fully insured firm able to work on residential, commercial and municipal projects. 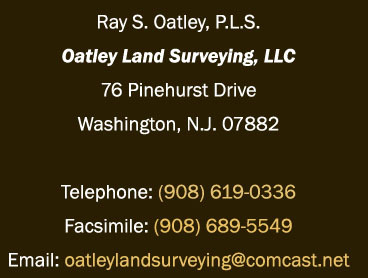 To contact Oatley Land Surveying, LLC, please fill out our contact form or use the information below.